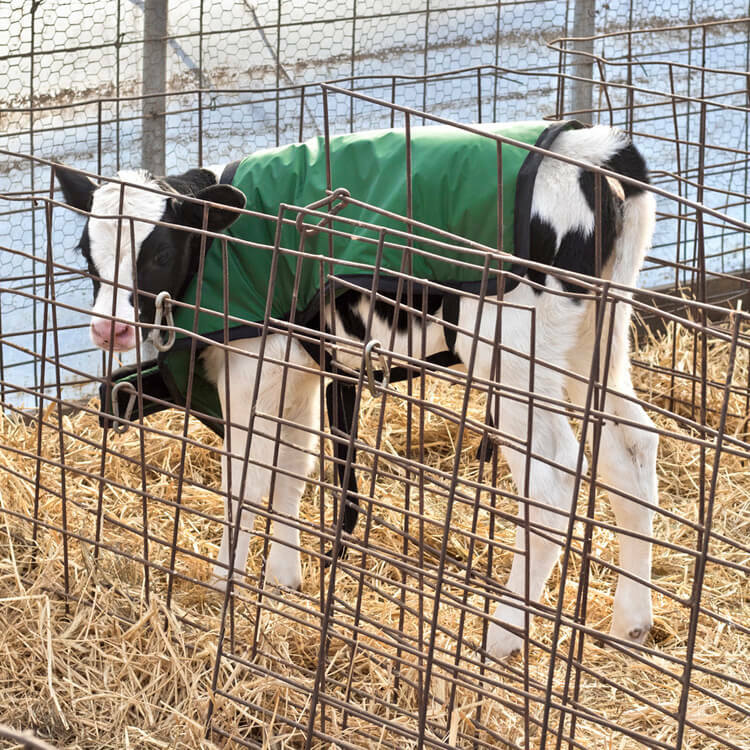 During these chilly winter months newborn calves aren’t big enough to create the body heat necessary to keep them warm. 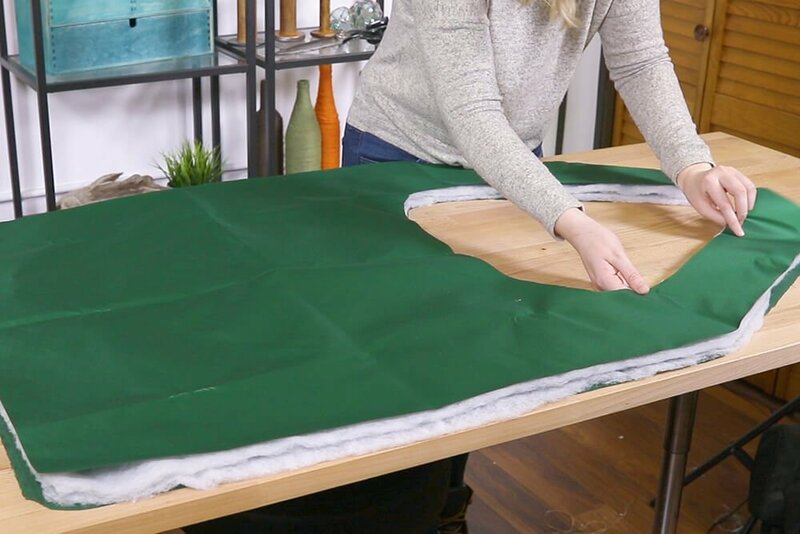 So, if you’ve been looking for a cheap way to keep your newborns warm let us help by showing you how to make a calf blanket. 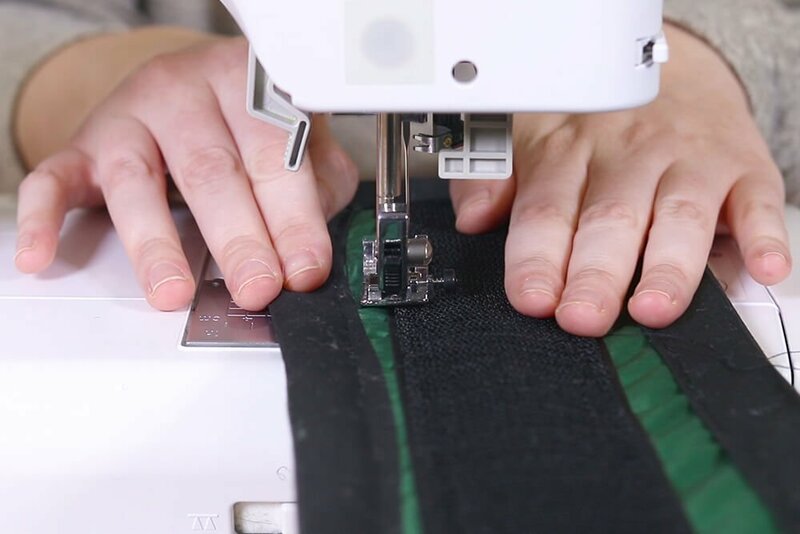 This design is super easy to put on your calf and even easier to adjust as they grow. 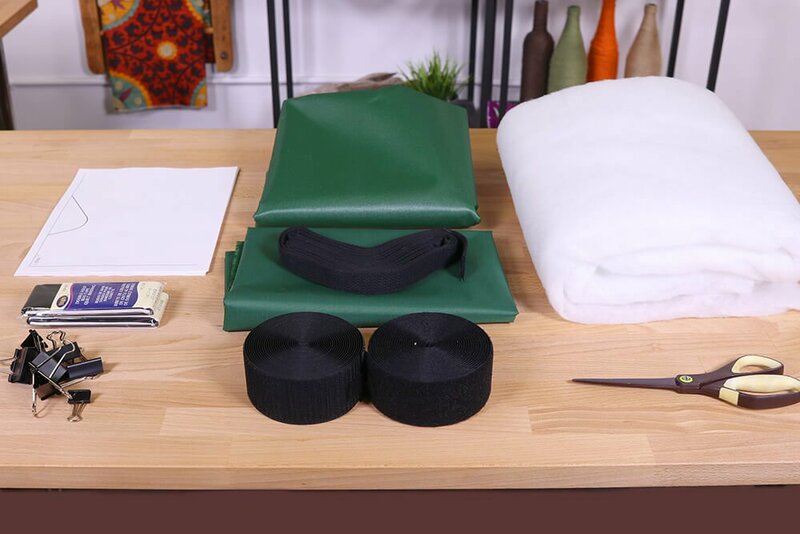 Nylon fabric is durable and water resistant so it can withstand the weather and not get soggy. 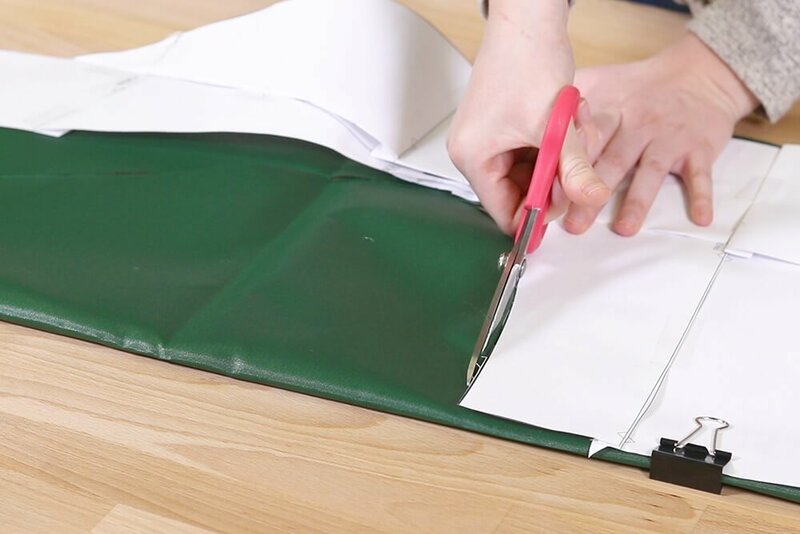 We used a medium weight nylon pack cloth, for the outer fabric and lightweight nylon ripstop for the lining. Sign up to our mailing list to get the FREE template. If you have already signed up, enter your email address again when prompted. 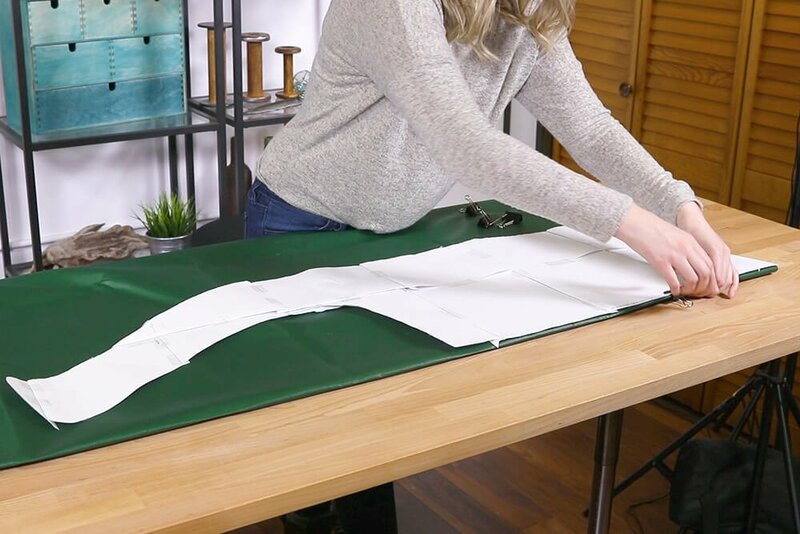 Fold the fabric in half and place the template on the fold to get a symmetrical cut. 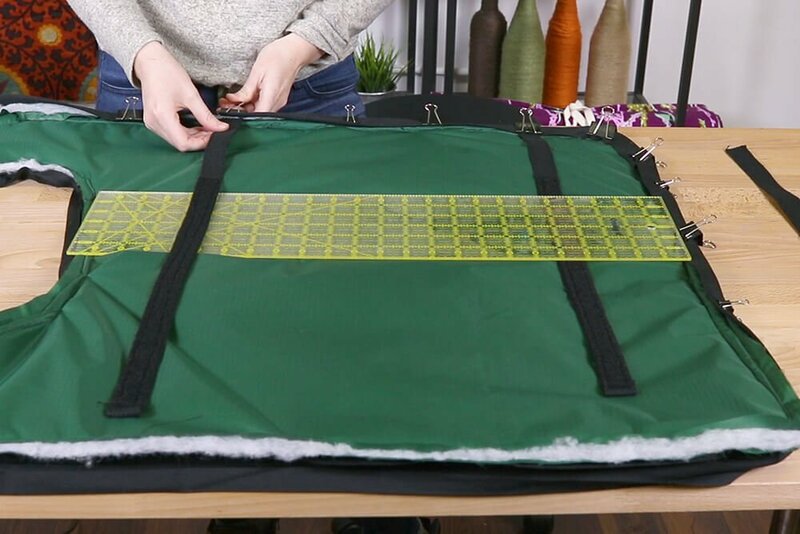 Using the template, cut out the 420 denier coated nylon pack cloth, ripstop nylon, and 2 layers of batting for extra warmth. 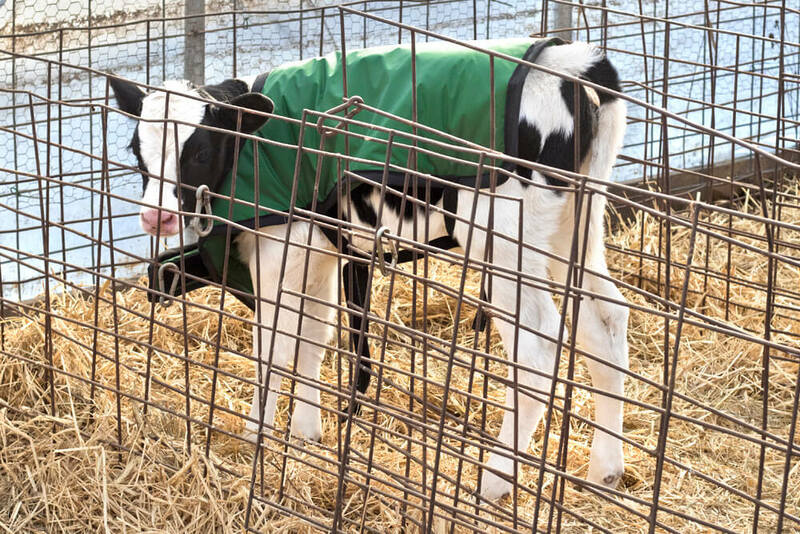 Nylon pack cloth and ripstop are water resistant to protect the calf from the elements. 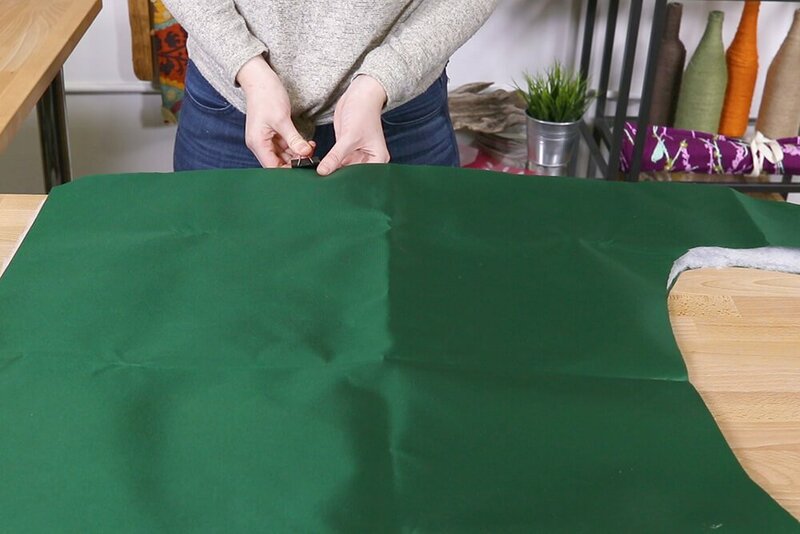 Layer the materials as follows from bottom to top: 420 denier coated pack cloth, both layers of batting, and the ripstop nylon. 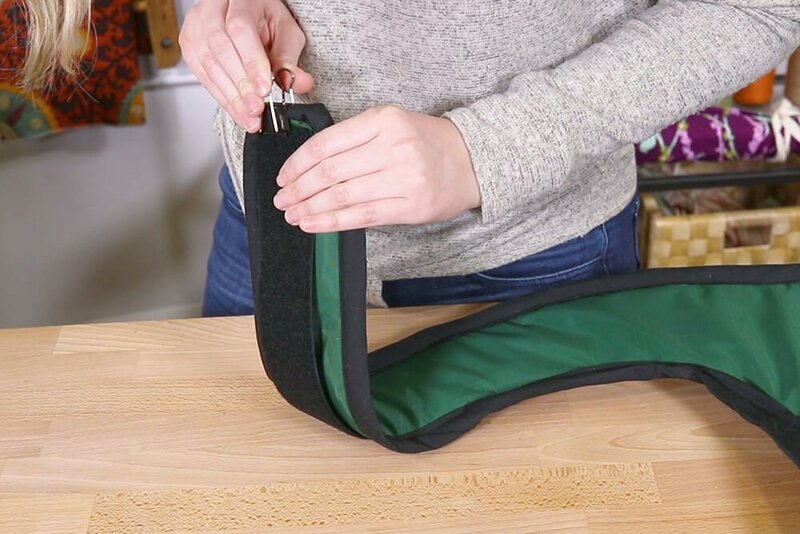 Clip or pin them together. 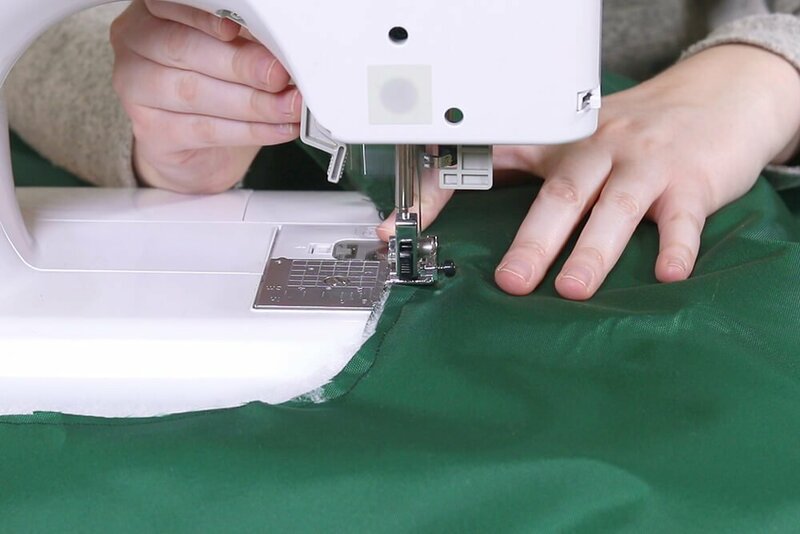 Sew together using a 1/2″ seam allowance. 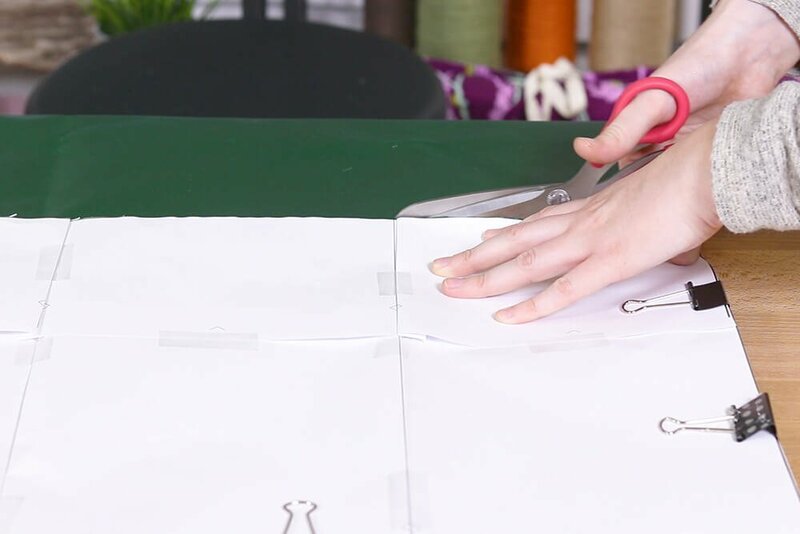 Sew together around the edge of all the layers. Cut four 25” strips of cotton webbing. Finish off one end of all four strips of the webbing. 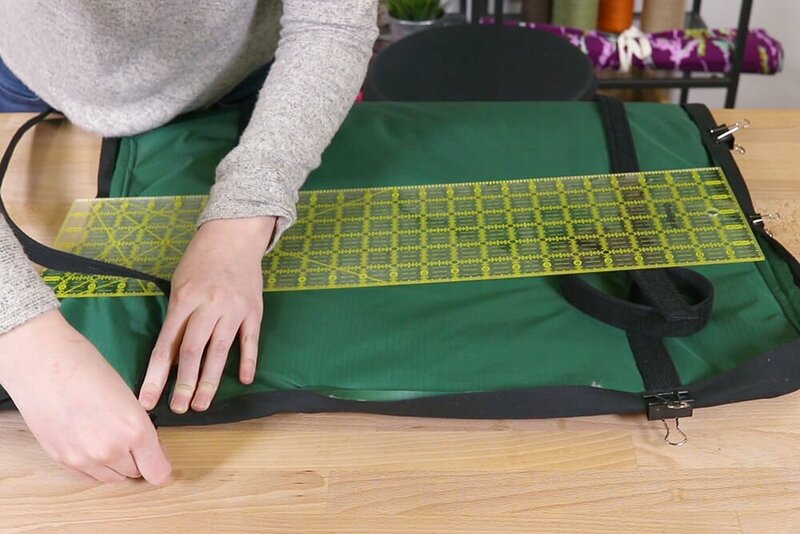 See our How to Finish Webbing Tutorial for full instructions. 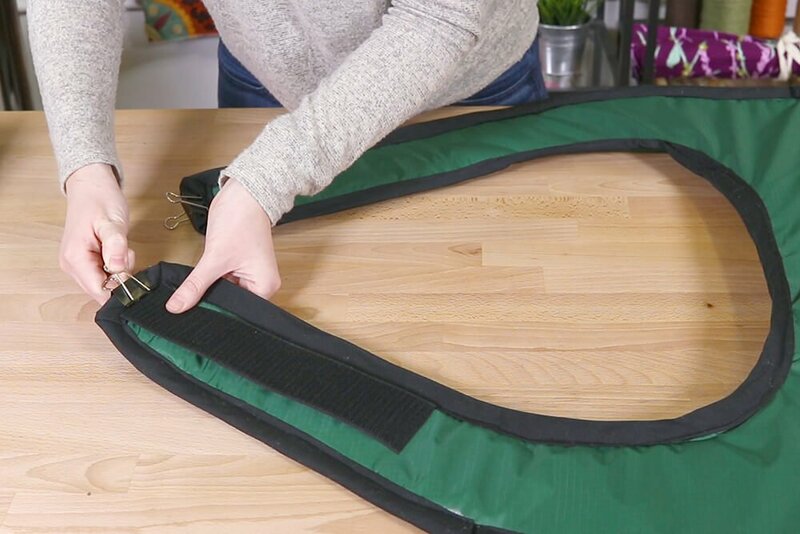 Attach 18″ of VELCRO® to the back of two of the strips and 18” of the opposite side of the VELCRO® to the front of the other two pieces. 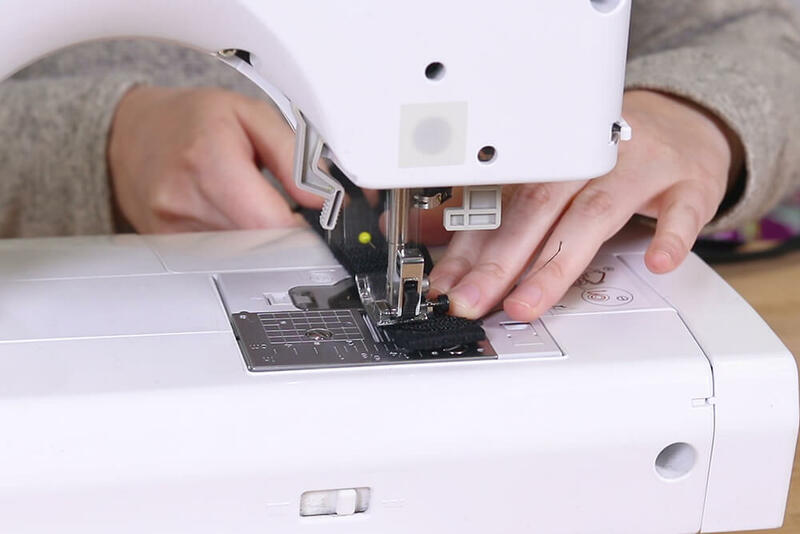 I am using pre-made bias tape but you can also make your own. 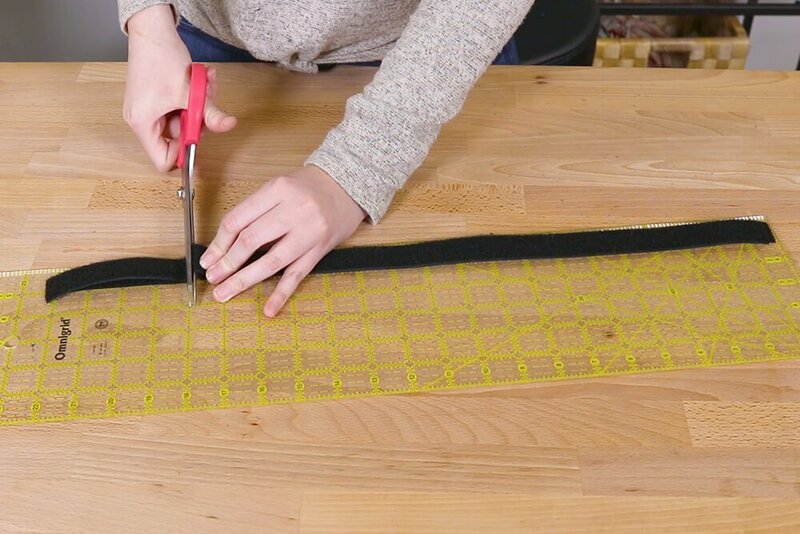 Attach bias tape around the edge of the entire back of the blanket. 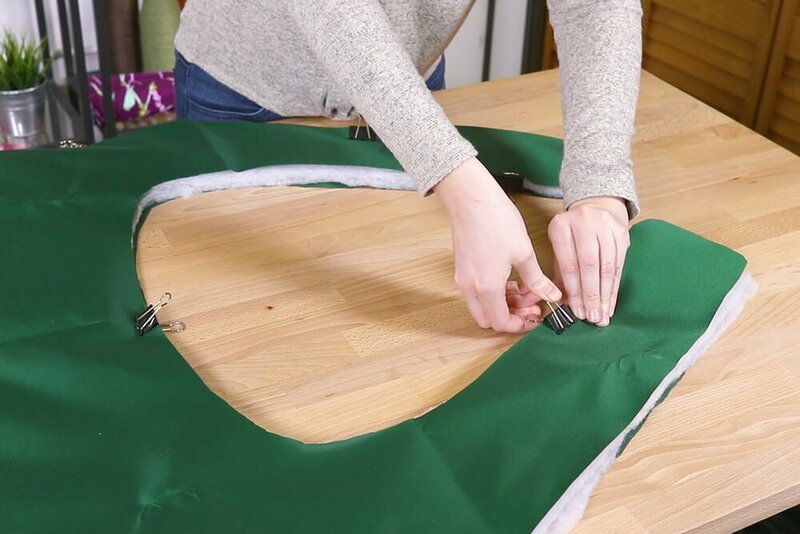 See our How to Sew Bias Tape Video for the full instructions. 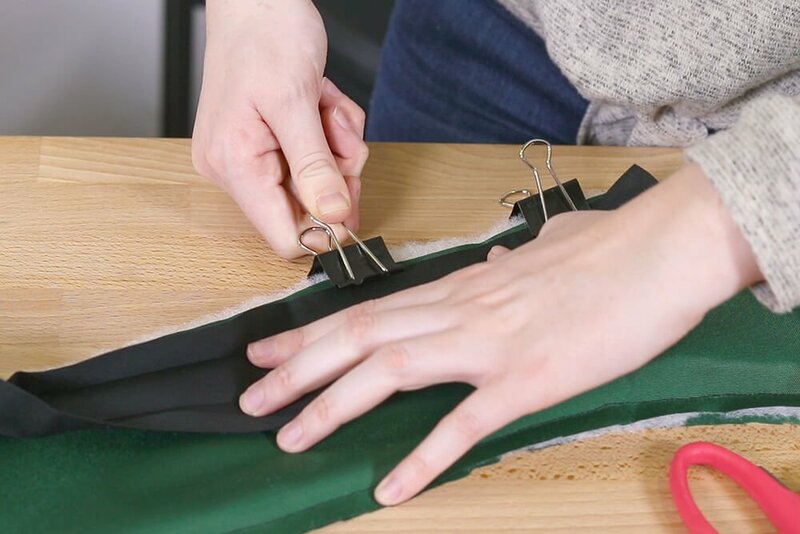 After you have sewn down the back side, and before sewing the bias tape on the front, clip the first two strips of webbing 6″ from the front and back of the left side of the main part of the blanket. 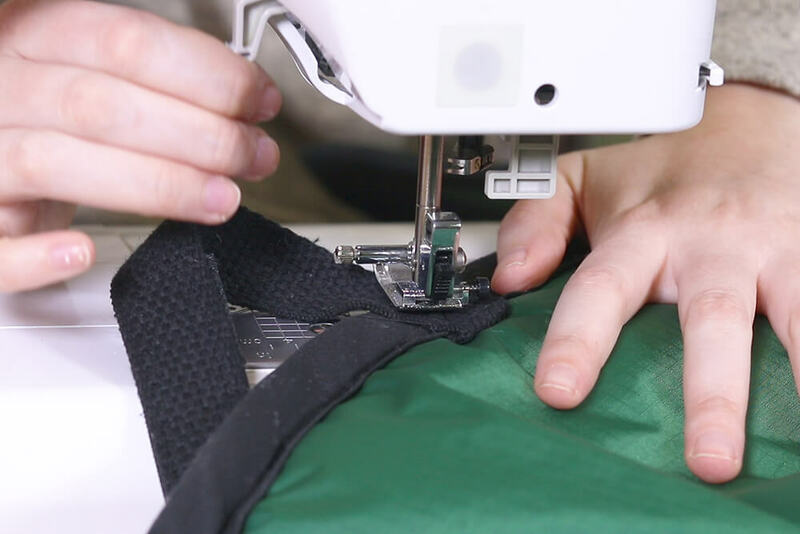 Leave 1″ of webbing inside of the bias tape to ensure that it is secure. 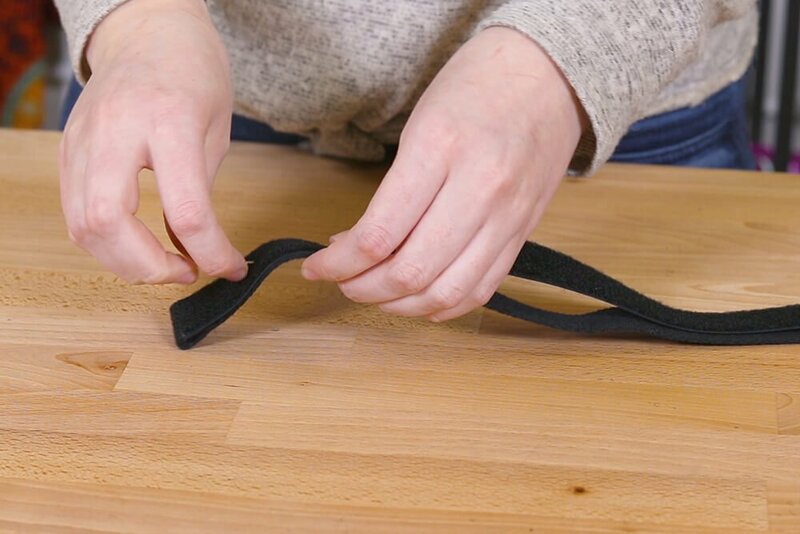 With the second two strips of webbing, pin or clip them on the opposite side, again 6″ from the front and back of the main part of the blanket. 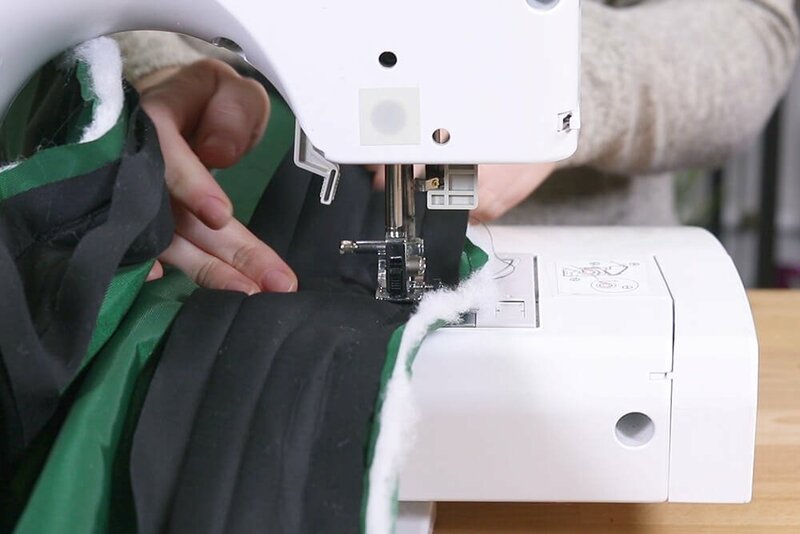 Finish sewing the bias tape. 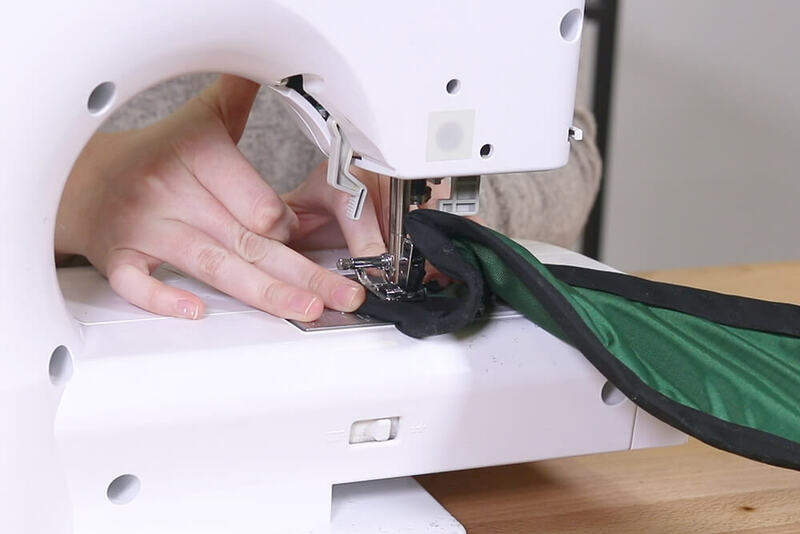 Fold the webbing over the now sewn bias tape. 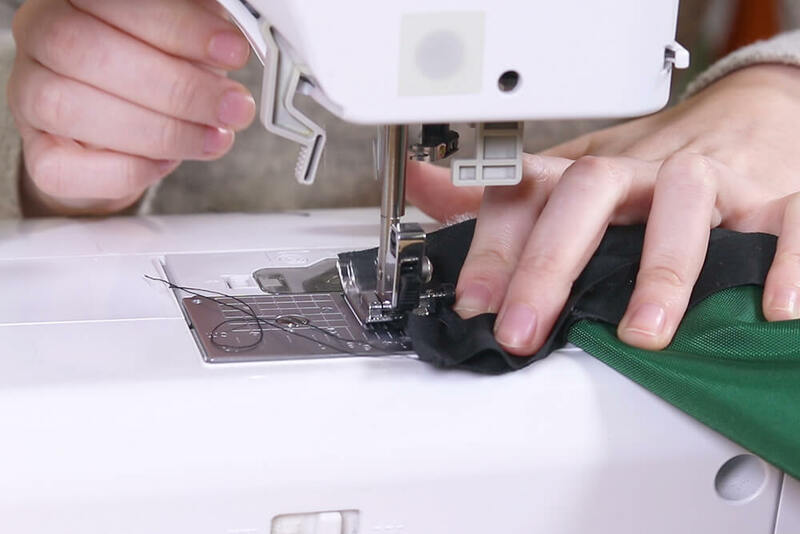 Sew each piece of webbing with a square. 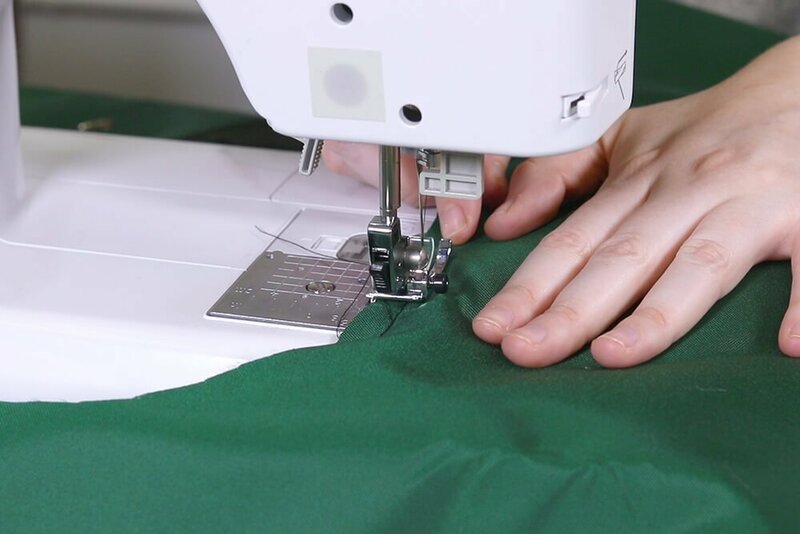 Reinforce by sewing an “X” through the square. 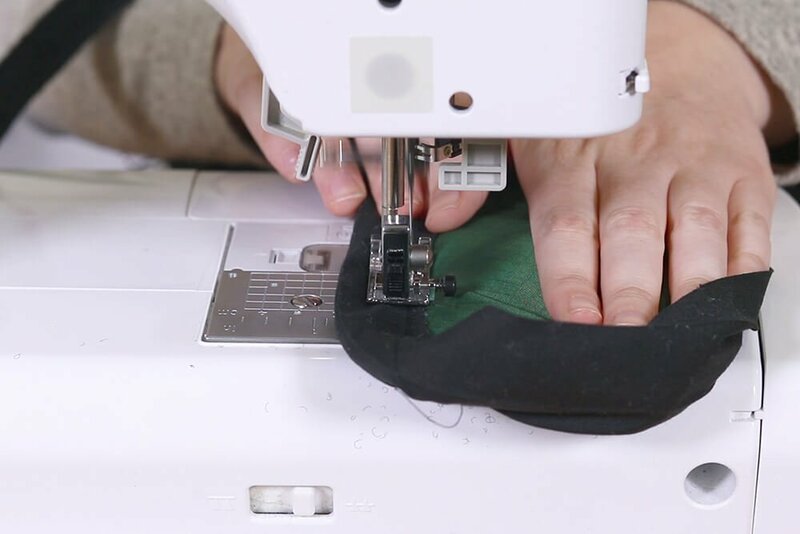 Lastly, attach 10″ of VELCRO® to the top of the left neck strap by sewing around the edges of the VELCRO®. 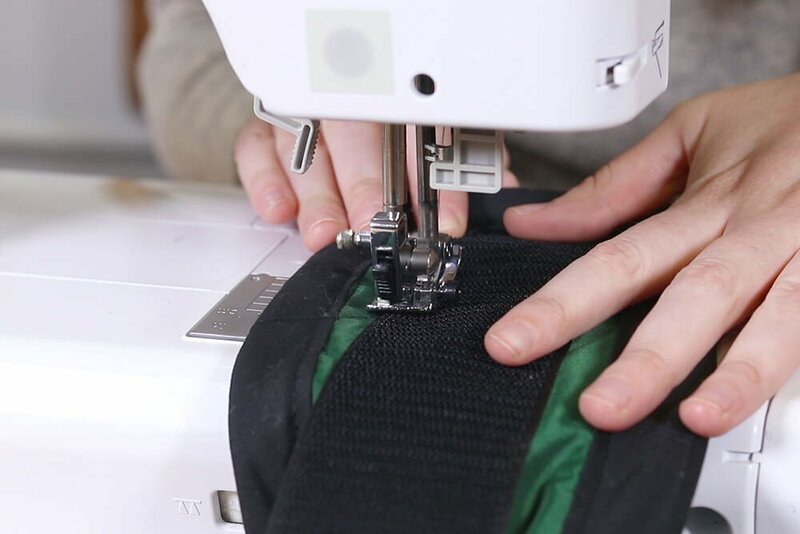 Attach 10″ of the other side of the VELCRO® to the backside of the right neck strap using the same method. 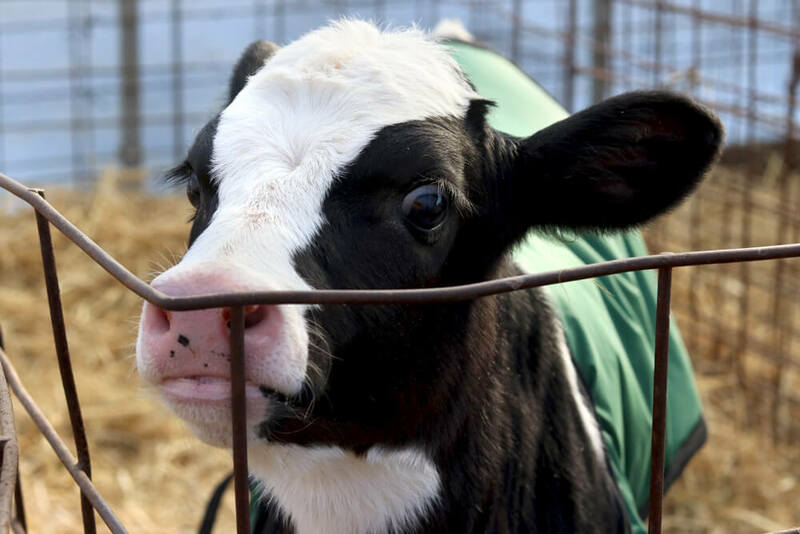 Put the blanket on your calf and you’re done! 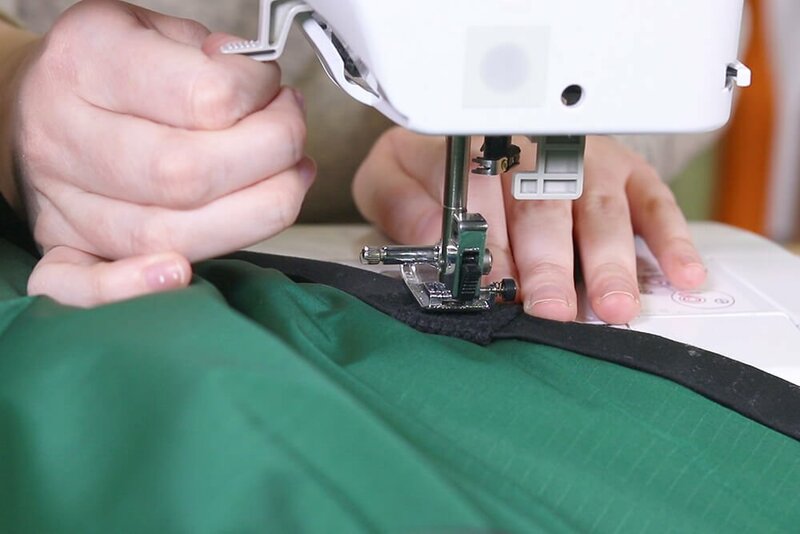 Pick out your Nylon Fabric! 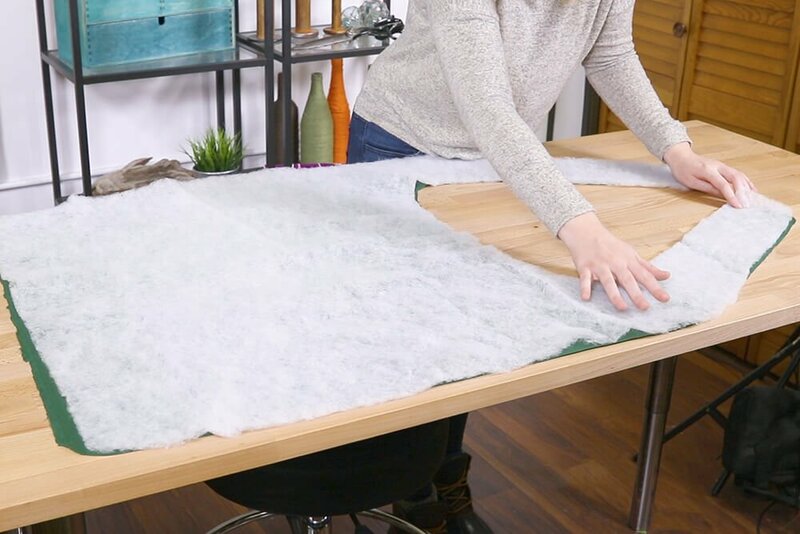 How much fabric of each item do I need for this calf blanket? 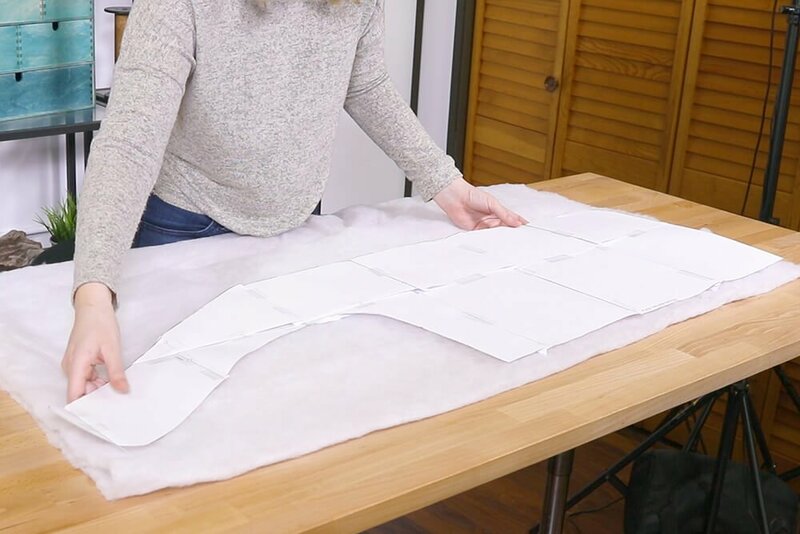 BEST ANSWER: 1 yard of each, as long as they are 59/60" wide.